A resource for consumers, media, and insurance professionals. Includes natural disasters tips; guides to auto, business, home, life, and health insurance. Web Design, Graphic Design, Virtual Assistance and more. 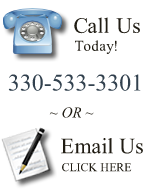 Specializing in assisting small businesses in the Mahoning Valley as well as nation-wide.